Beware of the “Urban Hunter”. 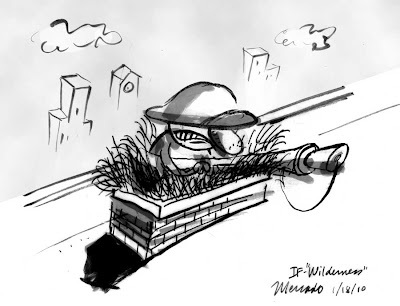 He leaps from rooftop to rooftop searching for ‘gators that have grown too big for the sewers . He may be on a rooftop near you! Yikes! Since I’m a small town girl the big city definitely seems like the “wilderness” to me! Really fun! I’ll have to watch out for those Urban Hunters.